Remember the days when you had to wait three years for a new Star Wars movie? Remember when superhero films came out but once in a blue moon? If you are under the age of 25, then probably not. However, there exists in Hollywood history a time when action movies ruled the box office. I’m talking the original Die Hard, Terminator, Patriot Games, Predator, all of those classic action movies. And do you know what made those movies sell? Not the plot or the characters, but the lead actor. Yes, there was in fact a time when people didn’t see always movies in hopes of them interconnecting, but just to see their favorite action star blow stuff up. Those days are all but gone, audiences flock to franchises now. Except in the case of Dwayne “The Rock” Johnson. The former WWE star is all that remains of the classic Hollywood action superstar. Dwayne Johnson is one of the few actors left that can sell any movie just by being in it. Think of it like this. You open your newspaper early Monday morning and see that Total Recall is coming out on Friday. The title doesn’t stir anything for you. You can’t see a trailer unless you go to the movies to see something else. But, you see that Arnold Schwarzenegger is in the film. You loved Arnold in Conan, Raw Deal, Predator, and Terminator. You decide to go see Total Recall because of the actor leading it. It is first and foremost Arnold’s film, and so you are sold. There are several of these types of films released every year, each one being led by and revolving around a particular star. Wesley Snipes, Harrison Ford, Steven Seagal, and Sylvester Stallone are top dogs. Each of these actors can sell any movie just by their face being on the poster. Wesley Snipes is in prison. Harrison Ford is repeatedly crashing his plane. Steven Seagal has been practically excommunicated. Sylvester Stallone is barely holding on to Rocky and the Expendables. These actors can no longer sell any movie by just being in them, in fact, almost no one can. So how do you decide to go see a movie circa 2020? Your twitter feed blows up, Disney just dropped their latest Star Wars and/or Marvel trailer. You love this franchise, you grew up loving this franchise, you’re already sold. A new movie pops up, it doesn’t scratch your nostalgia itch, you don’t go. A new movie pops up, it has a less than favorable Rotten Tomatoes score, you decide to skip it. Modern audiences aren’t as concerned with getting their celebrity fix in a new movie, they can just follow their twitter feed. But one actor remains who can sell any movie by just slapping his massive tatted arm and bald head onto the poster, that man is Dwayne Johnson. Not only can audiences smell what The Rock is cooking, but they can’t get enough of it. And, honestly, I can’t blame them. The Rock has the charisma of a 90’s Will Smith combined with the muscles of a 70’s Arnold Schwarzenegger, and that combination is about the safest bet for audiences and studios alike. Now, this hasn’t always been the case, but it has been for the past four-five years. Even Dwayne Johnson’s poorly reviewed/received movies still out-gross similar films with other actors. Take a look at Baywatch (2017) for instance. It’s widely recognized as a flop due to a $178 million haul on a $69 million dollar budget. But, it is also a comedy, and $179 million isn’t a bad haul for a comedy film, albeit an expensive one. I firmly believe that the film owes this minimal success to The Rock not only being in the film, but in promoting it via his large social media presence. But instead of focusing on Baywatch, let’s focus on my favorite example of what The Rock is cooking, Jumanji: Welcome to the Jungle. Jumanji: Welcome to the Jungle is a sequel that nobody asked for. It features none of the original cast, and was thrown together on a ~$90 million budget. By all accounts this film should have just barely matched pace with Jumanji‘s $263 million gross in 1995. Instead, Jumanji: Welcome to the Jungle roared to a near $1 billion global haul. The $1 billion club isn’t as exclusive as it once was. However, it is typically reserved for James Cameron, Disney, and anyone in superhero spandex. The fact that Jumanji 2 even made it close to $1 billion is astounding. On the surface, there isn’t much of a difference between Jumanji: Welcome to the Jungle and Tomb Raider, for example. Both films are reboots of decently successful films about a jungle adventure. Both featured up and coming action heroines, and both had pretty cheesy and well-worn plots. The difference is Tomb Raider barely matches the gross of its 2001 predecessor, while Jumanji 2 out-grosses its predecessor nearly four times over. Again, I believe the key difference in these films to be The Rock’s presence both onscreen and off. Yes, Jumanji: Welcome to the Jungle is an objectively better film in general, but it is not $750 million dollars better of a film. And it is also true that Jumanji has a more comedic element in addition to Kevin Hart and Jack Black. 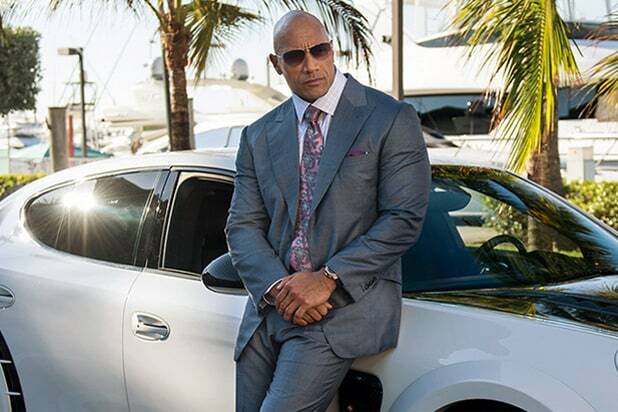 However, The Rock has a tendency to become the fan favorite in whatever film he’s in, and this film is no exception. Whether he’s Hobbs, Maui, or Bob Stone, audiences flock to his portrayals. His presence brings people, and that is why Jumanji: Welcome to the Jungle soared instead of just coasting by. Studios are aware of this, and that’s why Dwayne Johnson is consistently earning bigger paychecks per movie than his fellow actors. Take his upcoming movie Red Notice , the Wall Street journal reported that Johnson is set to receive not only $20 million for starring in the film, but a 30% cut of the films profits or similar bonuses based on performance. Few other actors can garner that kind of money for a single film. The only example that comes to mind is Robert Downey Jr. leveraging his part in the still infantile MCU for a $50 million dollar paycheck in 2012’s The Avengers. Movie studios don’t like taking major risks, that’s why they stick with familiar tentpole franchises and milk them for every penny. This is part of the reason why films have become more centered around characters and “universes” rather than actors and actresses. This isn’t to say that actors and actresses don’t still sell movies, but they aren’t used as aggressively for that purpose anymore. It’s less risky to put a familiar actor in a growing or nostalgic franchise. But, Hollywood seems apt to take any risk that’s been undersigned by Dwayne Johnson. 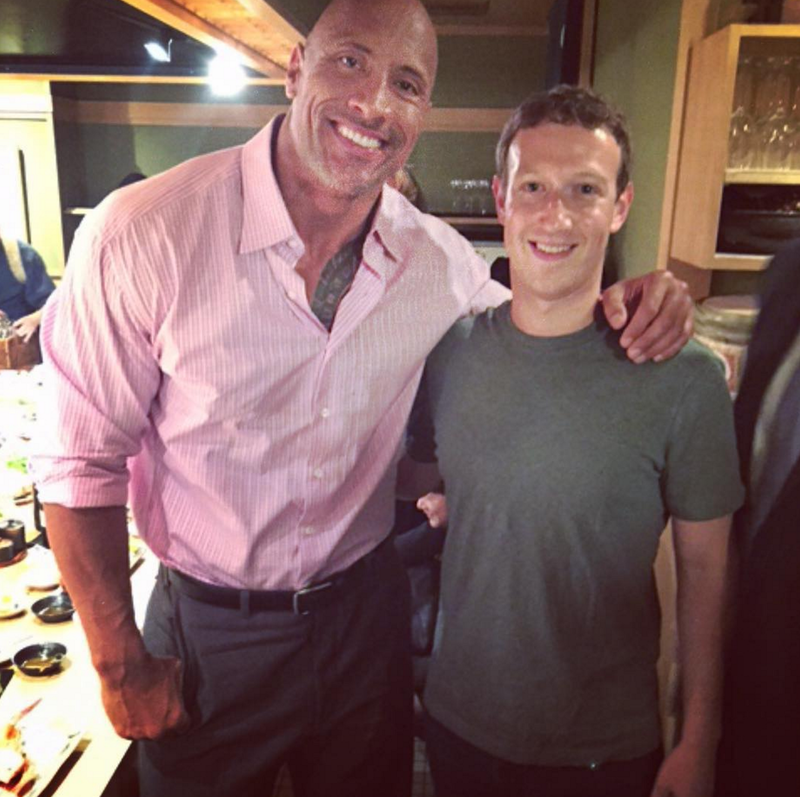 Why do People Gravitate Towards The Rock? It’s a simple equation really. Dwayne Johnson is not only charismatic, but appears genuine when interacting with the public. Audiences love people who will stop to take selfies with them or reply to their tweet. Johnson has also been very enthusiastic in his charitable efforts, which is never bad PR. And the big kicker in my opinion is the intensity with which he presents himself. The best example of Dwayne Johnson’s intensity is The Rock Clock. 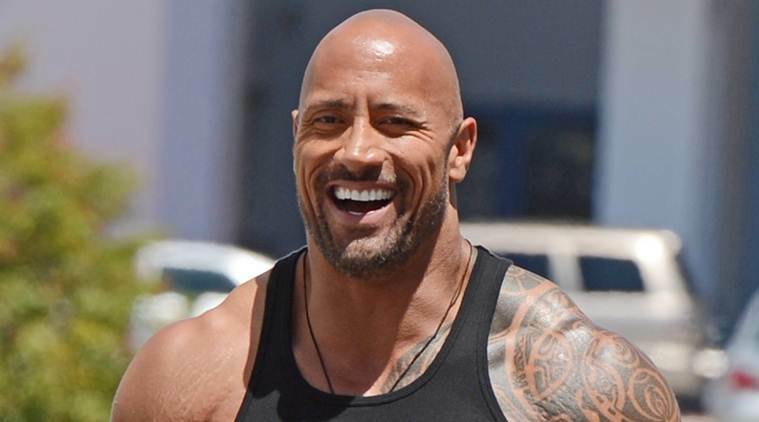 The Rock Clock was an app created by Dwayne Johnson to motivate people. It’s an alarm with no snooze button. It’s a reminder that uses The Rock’s voice to bark motivation at you. It has a feature that wakes you up when The Rock wakes up. Because Dwayne Johnson is all about the people, and his people are all about him. This app seems pretty irrelevant, but it illustrates not only The Rock’s commitment to himself, but to the betterment of others as well. Since The Rock’s next big film, Skyscraper releases next week, hopefully it will prove my point. It may not be a major success, but I’d wager it’ll still make a decent global haul for both the film studio and The Rock. The DCEU is currently a mess, barely hanging on by the thread of Wonder Woman’s lasso. However, The Rock is set to helm an upcoming Black Adam film, hopefully course correcting the franchise in the process. In the wake of Justice League severely under performing, I have no doubt that the Rock’s presence will bring new life to the relatively obscure character and fading franchise. I also have no doubt that Dwayne “The Rock” Johnson will continue to rise and top the highest grossing lists. Personally, I can’t wait to see what over the top idea he brings to life next. Thanks for reading! What are your thoughts on Dwayne “The Rock” Johnson? Comment down below! Haha that exact Actor fix idea led me to watch some films I probably wouldn’t have otherwise. I watched Welcome to Me and Skeleton Twins because I love Kristen Wiig and expected them to funny. Spoiler alert: they’re very intense and on the depressing side (I loved them anyway because they were great stories but it was not what I was expecting). The Rock doesn’t take himself too seriously, either. This makes him thoroughly engaging. Too much brooding and angst in the world – D J is light in the darkness.